Pogs was a disc flipping game popular in the early 1990s. 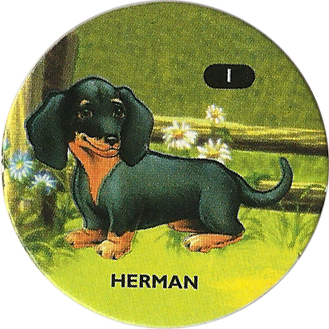 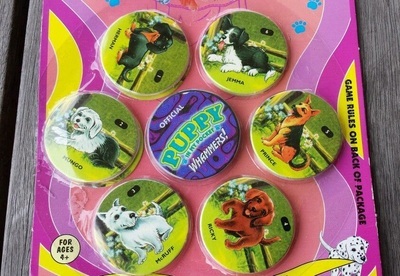 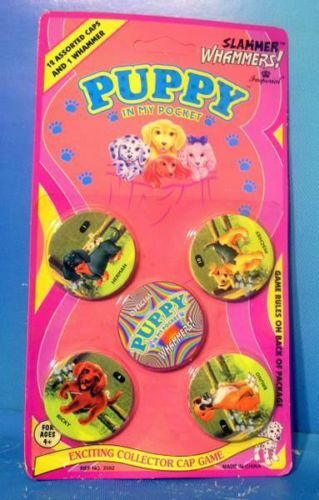 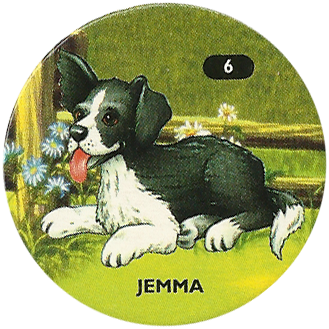 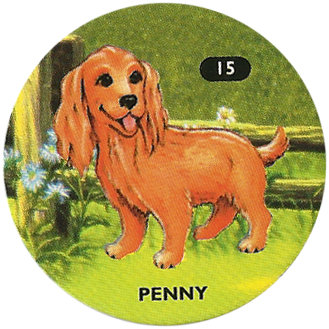 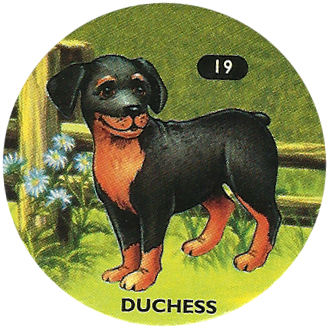 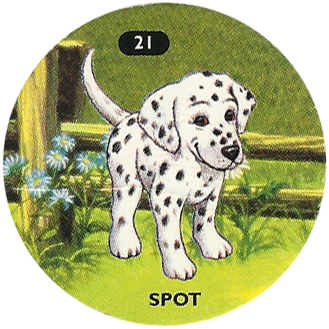 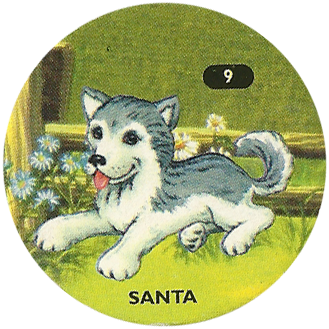 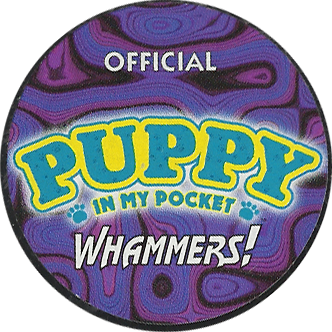 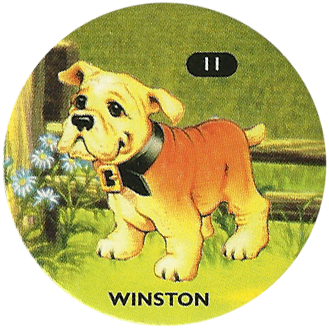 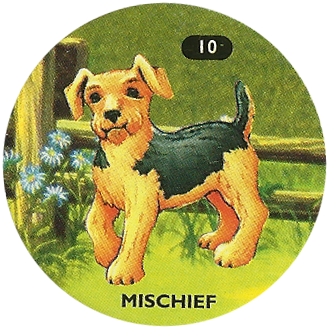 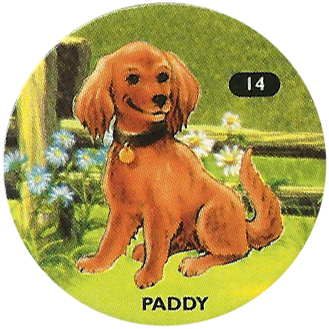 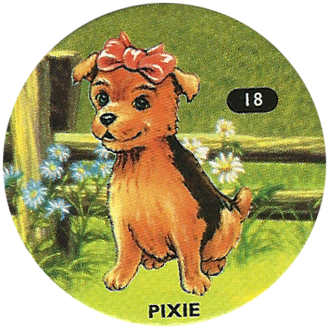 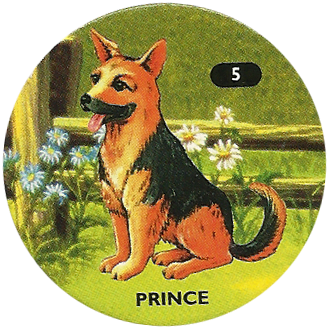 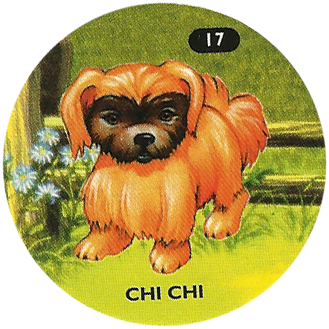 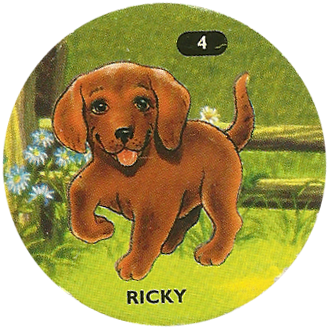 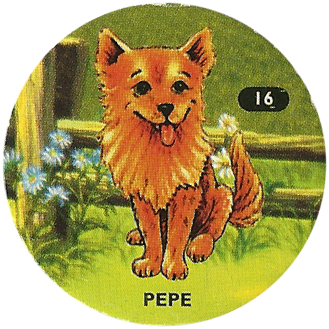 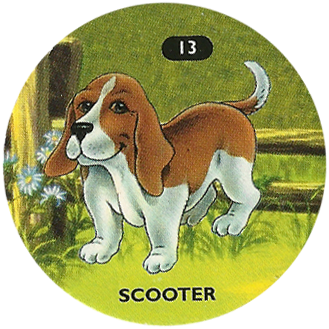 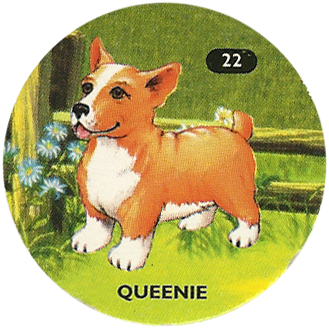 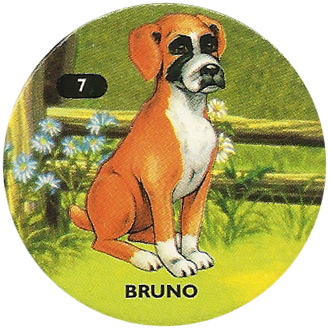 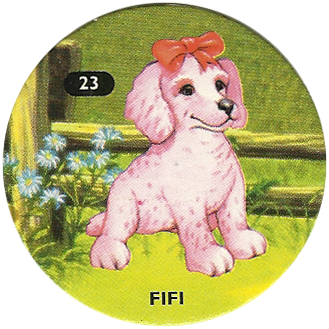 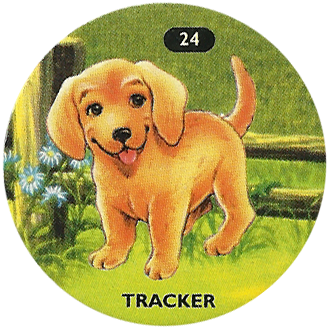 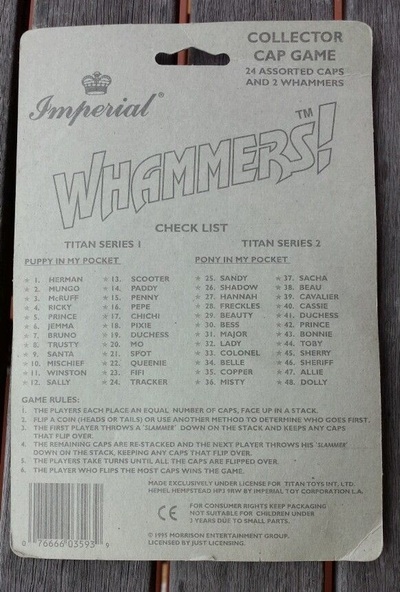 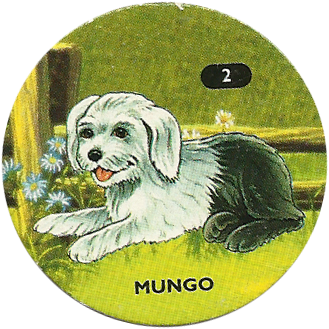 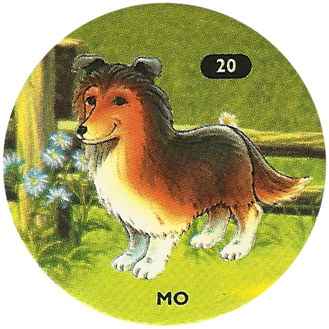 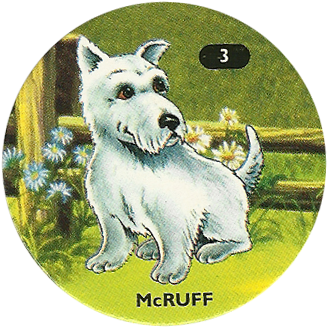 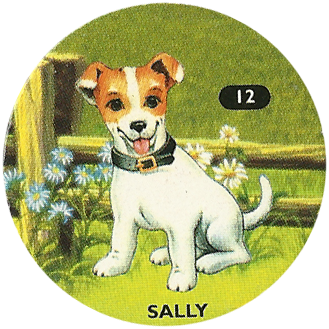 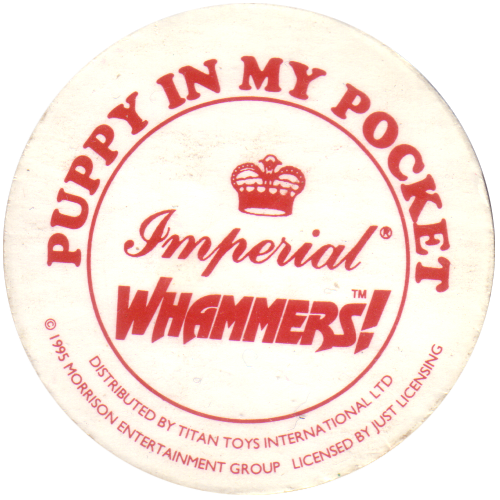 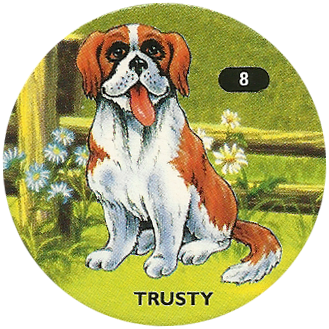 24 Puppy in my Pocket pogs were produced, depicting puppies #1-25 (with the exception of #21). 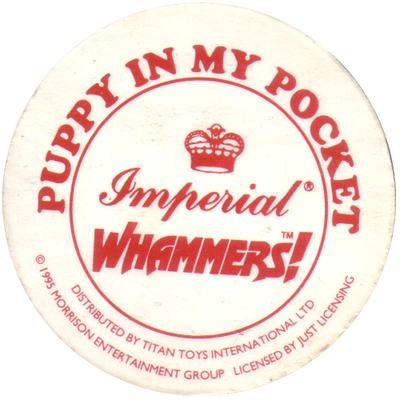 They were produced in the UK by Imperial in 1995.